Calling Trump “unhinged” and “not stable” and accusing him of stirring up “envy, resentment, and group hatred,” the Libertarian Party VP nominee Bill Weld said he would continue through the election but practically endorsed Clinton without naming her. “A President of the United States operates every day under a great deal of pressure — from all sides, and in furtherance of many different agendas. With that pressure comes constant criticism,” Weld said in a statement issued Wednesday in Boston. The Libertarian Party, led by former New Mexico governor Gary Johnson, was polling under 10 percent nationally, not enough for the party to be included in the presidential debates. 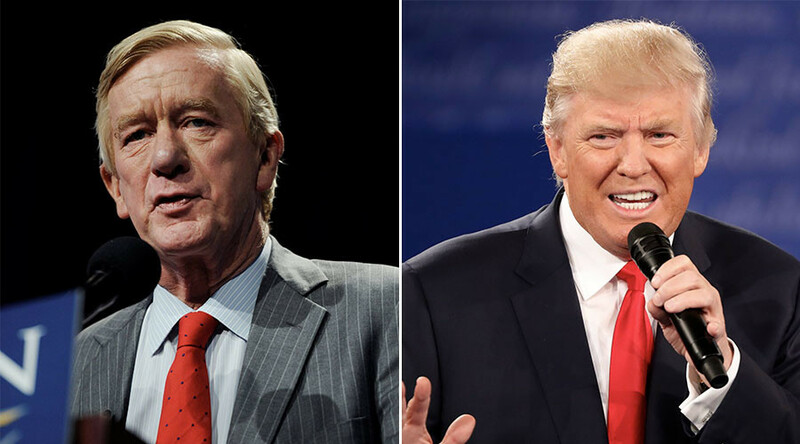 A former Republican governor of Massachusetts, Weld said he “stepped out of the swirl of the campaign” to alert voters to Trump’s failings as a potential presidential nominee. He stopped short of endorsing Democratic presidential nominee Hillary Clinton by name. “He makes a sour face, he calls people by insulting names, he waves his arms, he impatiently interrupts. Most families would not allow their children to remain at the dinner table if they behaved as Mr. Trump does. He has not exhibited self-control, the discipline, or the emotional depth necessary to function credibly as a President of the United States,” Weld said. “This is not the time to cast a jocular or feel-good vote for a man whom you may have briefly found entertaining. Donald Trump should not, cannot, and must not be elected President of the United States,” the Libertarian VP candidate concluded.